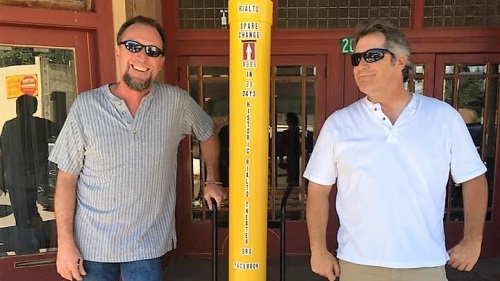 The “dog days of summer” has a new meaning for the Rialto Theater in Florence. 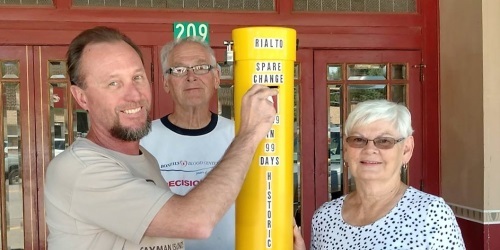 Beginning with Memorial Day and ending on Labor Day, the 99-days of summer provides an opportunity for all Fremont County residents and visitors to donate their spare change to the Rialto. 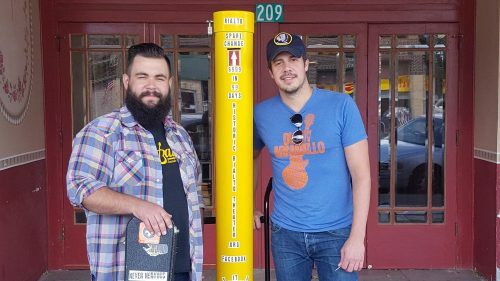 The goal is $999 and is called “It Just Makes Good Cents” campaign. 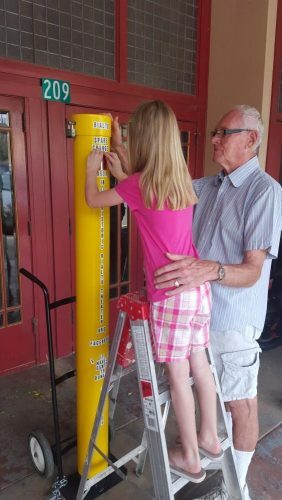 To donate, deposit any amount in the 5′ tall yellow “Rialto” tube on the sidewalk in front of the Rialto, 209 W. Main St., in Florence. There also is a contest. 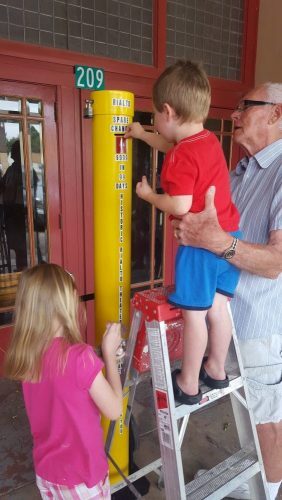 Guess how much spare change is in the tube when it’s counted Sept 5. Drop your guess in the coin slot on the tube. Be sure to print all information legibly and include a phone number or email address. 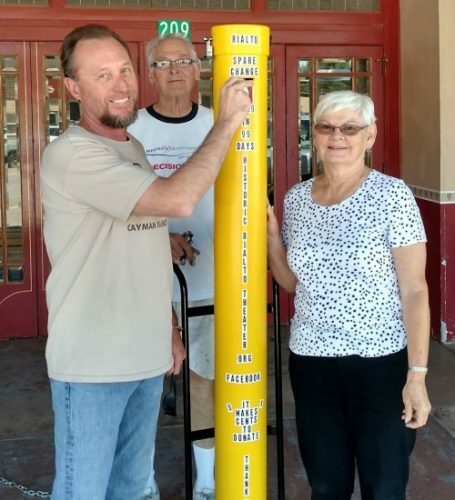 As a hint … How many dimes fit in a 1 liter bottle? Answer: $500!